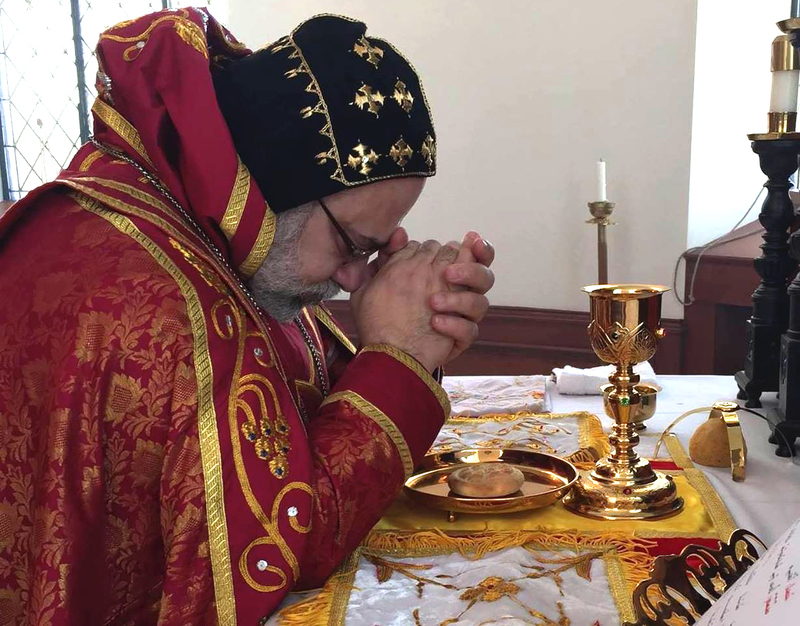 Resurrection Day this year was celebrated on Sunday, April 8, 2018 at all of the parishes of the Syriac Orthodox Eastern United States. 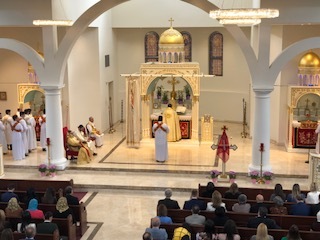 This day became more remarkable as the Archdiocese celebrated its first Holy Liturgy at the new St. Mark’s Cathedral, where His Eminence Mor Dionysius John Kawak was assisted by V. Rev .Fr. Joseph Chamoun and V. Rev. Fr. Augeen Alkhouri. Among those in attendance were several deacons and the choir of the cathedral, as well as a large number of the faithful. Also present were the Mayor of Paramus, NJ, Mr. Richard LaBarbiera, and the Mayor of Montvale, NJ Mr. Mike Ghassali, as well as the Sheriff of Bergen County, Mr. Michael Saudino.